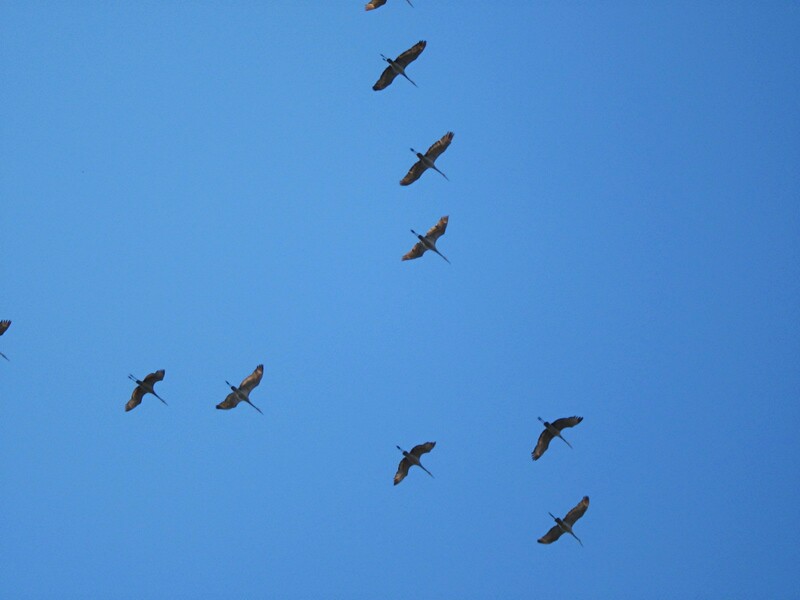 The Sandhill Cranes have returned, or I should say, are migrating again. I posted on this last year in February, but it’s worth repeating. It is absolutely magical to be sitting in the house (windows closed) and hear a ruckus outside, only to discover that it’s the clattering chatter of these beautiful birds making their way back north. I always feel so privileged to get such a glimpse of nature firsthand.